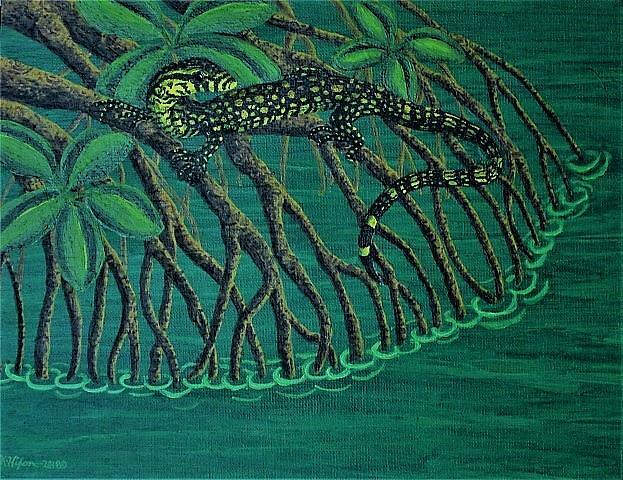 This is an Asian water monitor on some mangrove roots in a tropical rain forest. 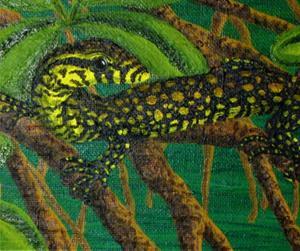 It's a larger, more detail painting of one I included in The Sketchbook Project. I added leaves and more roots, along with finer details overall for a better interpretation of the idea. This is a juvenile lizard, the adults are much larger and less colorful.